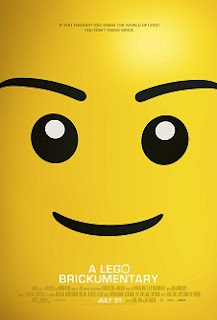 When “The LEGO® Movie” was released last year it was one of the most joyful surprises of the year. A movie that seemed like blatant product placement on the outside, but contained a witty script full of smart dialog, fun characters, and even an emotional core about the power of imagination and creation. I gave the film a rare five star review and listed it as one of the best films of the year. Clearly I did not get the ninety minute commercial I was expecting to get. No, it turns out they were saving that for “A LEGO® Brickumentary,” which IS a ninety minute toy commercial about this wonderful toy people play with, and all of the great things people do with it. 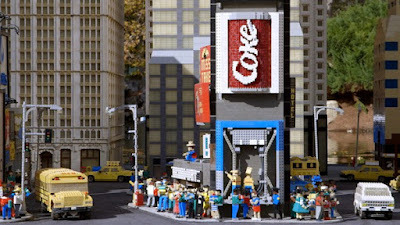 LEGO®, as it turns out, does indeed have an interesting history and lots of uses. When the movie is discussing the origins of the toy (and how many times the original toy factory burnt to the ground), it is at its most entertaining and informative. Later scenes that show a forty year old housewife who can recreate the entire shire from “The Hobbit” is impressive to be sure, but not really all that important as far as I'm concerned. Likewise, stories of LEGO® fans who became professional ‘builders' (a term created by the LEGO® Company for people who come up with designs) made me smile a bit because I was happy for their success, but, again, there is no real importance to the subject outside of people who might find this interesting. 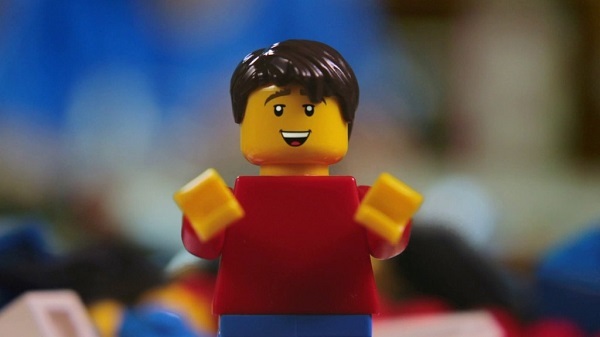 That may be “A LEGO® Brickumentary's” biggest shortcoming: It may be of interest to fans of the toys, but I'm not certain it provides enough for people who don't play with them. Certainly this doesn't make the movie bad, but it does limit the appeal greatly. As a TV special or a bonus feature on a DVD, I think “A LEGO® Brickumentary” is something that would definitely be of interest to fans of the toy if they've got the time. As a full blown movie that you pay top dollar for to see in the theater though, it feels every bit like the infomercial that you'd fear it would be. Probably best for the casual fan to pop in “The LEGO® Movie” for the fifth or sixth time.